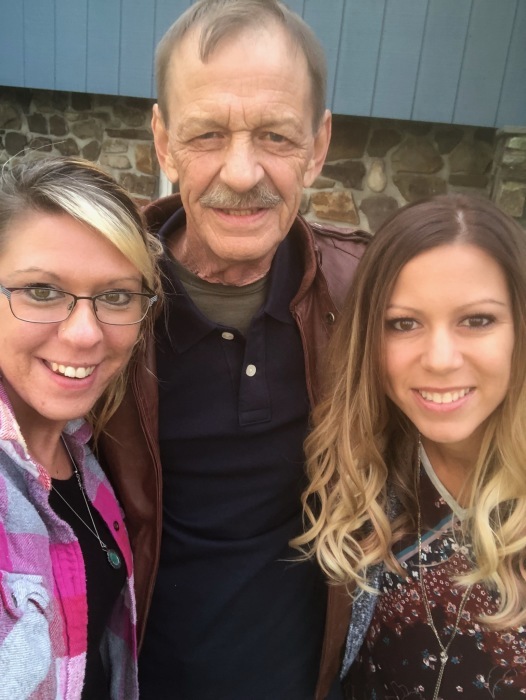 Kim Lewis Vosburg, age 64, of Milan, PA, passed away peacefully on Wednesday, April 3, 2019, at the home that he built and spent the majority of his life in. He was born on April 4, 1955, in Sayre, PA, the son of the late Vern and Doris (Schill) Vosburg. Kim was an excellent carpenter and construction foreman, taking great pride in the quality of his work, ranging from small projects around the house to commercial infrastructure. He was employed as a Project Superintendent with Streeter Associates, Inc. out of Elmira, NY, until his retirement in November of 2015. He was a member of the Ridgebury Sportsman Club and the Northeast Regional Council of Carpenters Local Union #277. Kim was an outdoor enthusiast and enjoyed many activities including, hunting, trapping, fishing and his yearly trips to Canada with family and friends. He also had a passion for racing automobiles, having achieved the Street Stock Rookie of the Year in 2012 at the Dunn Hill Speedway. He took great pride in his family and loved completing small projects around the house with his grandchildren. Kim will be dearly missed by family and friends for his positive, outgoing personality and ability to befriend most people he encountered. Left to cherish his memory are his daughters, Katrina Oswald (Shannon), of Burlington, PA, and Jolynn Park (Shawn), of Milan, PA; five grandchildren, Hannah, Taylor and Trevor Oswald, L.J. Avants and Jordynn Park; three brothers, Dale Vosburg (Nancy), of Bentley Creek, PA, Kirk Vosburg, of Bradington, FL, and Jan Vosburg, of East Smithfield, PA; two sisters, Denise Wood (Bruce), of East Smithfield, PA, and Dawn Morgan, of Elmira, NY; aunt, Carol Adams, of Wysox; lifelong friend, Jan Nichols (Joy), of Pine City, NY, and special friend, Mole Robinson (Theresa); several nieces, nephews & cousins; and many dear friends. In addition to his parents, Kim was preceded in death by his brother-in-law, Frank Morgan, and nephew, Michael Morgan. In lieu of flowers, memorial donations can be made in Kim’s name to the Ridgebury Sportsman Club, c/o Youth Programs, 961 Centerville Road, Gillett, PA 16925. Family and friends are invited to pay their respects on Saturday, April 6, 2019, from 11 a.m. until 1 p.m., at Roberts Funeral Home, Inc., 279 Main Street, Wellsburg, NY 14894. Kim’s funeral service will immediately follow at 1 p.m., with Pastor Tim Robson officiating. Burial will be held in Union Cemetery, East Smithfield, PA. To share your fondest memories of Kim, visit www.robertsfuneralhomeinc.com.